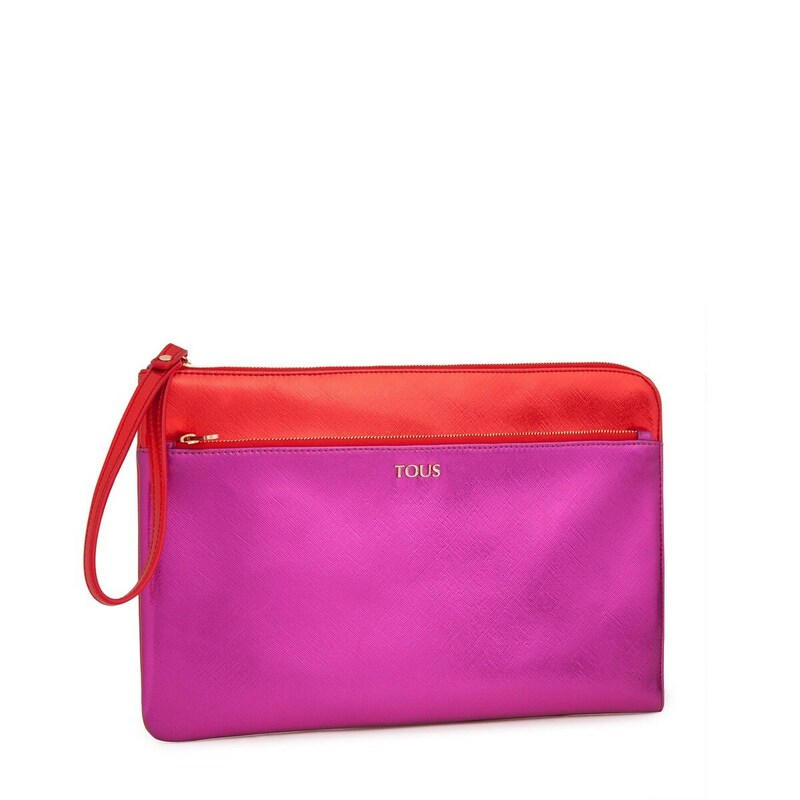 Fuchsia-red waterproof vinyl TOUS Essence collection clutch bag Korana Essence modell. Zipper closure. 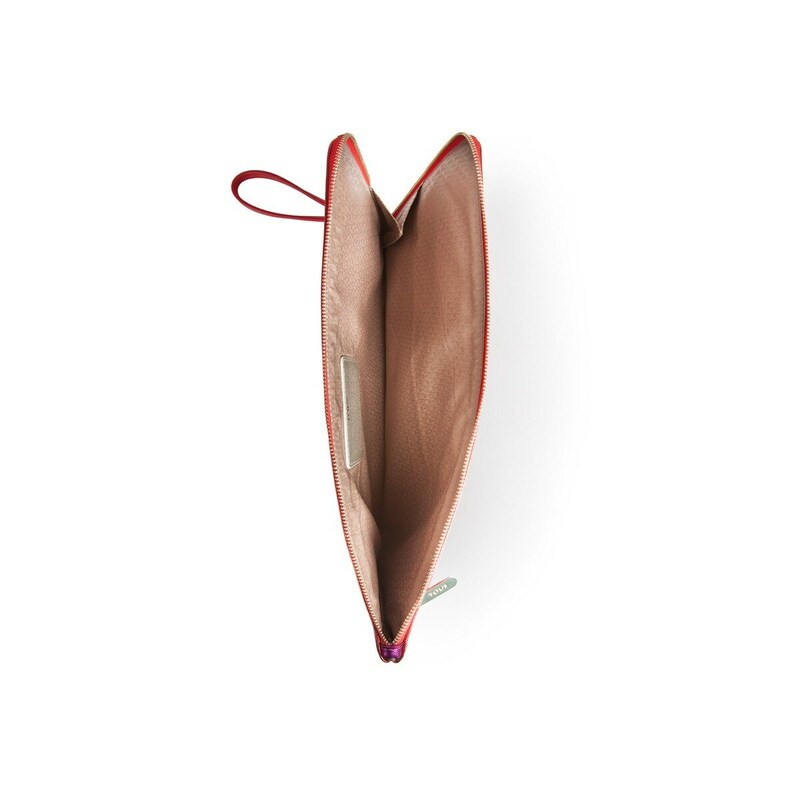 One external pocket with snap button closure. With lining and short strap. Dimensions: 21cm. x 33cm. x 3cm.